You can be assured that all GCT products have undergone rigourous tests to guarantee product quality and reliability that is second to none. It’s what our reputation is built on and long may it continue as we push the performance of our connectors and cable assemblies. For one of our latest products, the SIM7200, this is no exception. The hinged microSIM connector has been subject to various tests to prove how tough it really is. If you don’t believe us, here’s the durability test video! For a start, it is capable of over 5000 mating cycles, which includes the contact, hinge and locking mechanisms of the SIM connector. Mechanical shock testing subjected the connector to a total of 18 shocks at 490m/s2 accelleration across 3 difference axis, further demonstrating strong resiliance to drops and knocks. Additionally, vibration tests saw the connector with a SIM card inserted exposed to a total of 15 minutes vibration from 10 to 55 to 10Hz frequency at a 1.52mm amplitude. These are just a few of the tests that the SIM7200 has completed and sucessfully passed in accordance to EIA standards, demonstrating why it is stronger than your average hinged micro SIM connector. Full test details can be found on the Product Specification on our website here. Here at GCT, we’re commitment to offer our customers high quality products that will meet their application requirements completely. And when you need something a bit more customised, we can assist with that too – just get in touch and we will be more than happy to help on your next project. A look behind the scenes at GCT durability testing PCB mount micro usb plug vertical -USB3150 This USB connector is suitable for 10,000 mating cycles, you’ll see it being put through it’s paces at the Global Connector Technology test center. In this video, the vertical USB plug is mating with a horizontal, PCB mounted, USB micro receptacle. You can see that both PCB’s are held in a fixture for testing purposes. The USB3150 has a tiny footprint (7.35mm x 2.80mm) and low profile height (7.13mm) above PCB. Competition parts are bulky, taking up a large piece of PCB real estate and higher in profile. Customers are using this connector in docking applications, normally to charge a handheld device, that’s why it’s important that the vertical plug is tested to ten thousand cycles, this is actually the standard for Micro USB2.0. It’s important that the connector contacts are plating in 30µ” gold to achieve the high level of mating cycles, watch out for competitor products on the market with thinner levels of gold. You might find a lower cost solutions, but will they perform in demanding applications? Find out more about the USB3150 micro USB plug vertical here, you can download drawings and full product specification. Our 3D model viewer allows you to view the model online, without installing any special software, click to download 3D models. Samples are available next day from your local GCT office and from our distributor partners Newark and Farnell. If you need any help or advice on USB connectors and their applications please contact your local Global Connector Technology sales team. GCT exhibited at this years ‘Electronic Design Show’ and ran a competition for visitors to win great prizes with GCT micro usb connector inside. Visitors simply dropped their business cards into the competition box for a chance to win the top prize. We’re pleased to announce that the lucky winner is Stacey Finn from Odstock Medical Ltd, pictured here, Stacey won the ‘BOSE QuietComfort 20 Acoustic noise cancelling headphones’ which uses GCT’s Micro USB connector for charging. Please view GCT’s USB connectors to see our wide range of Micro USB connectors for charging applications. 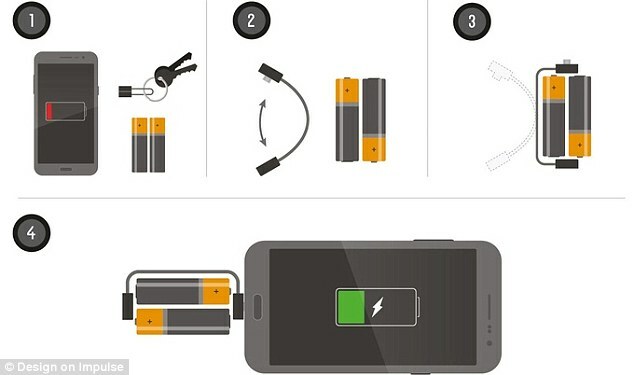 Global Connector Technology’s new vertical Micro USB plug is perfect for docking applications. Often Micro USB male plugs are cable mounted and supplied as part of a cable assembly, however USB3150 is vertical PCB mounted, which allows it to be used in docking charging applications. 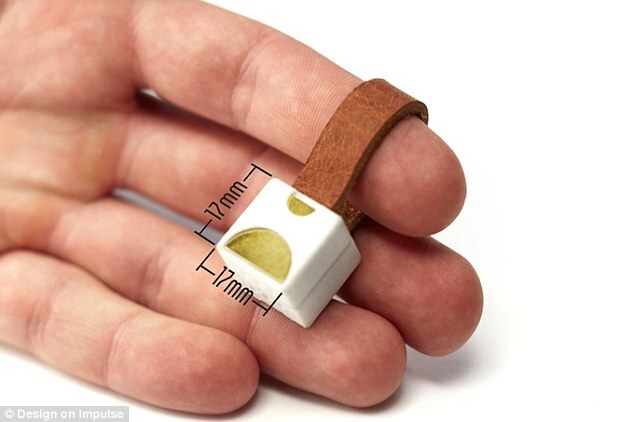 A great example is the new launch of worlds smallest phone charger ‘Nipper‘ – currently on Kickstarter – using this part. To see GCT’s extensive range of Micro usb plug and receptacle connectors, click here. Recently we sent one of our GCT sample boxes over to Ben Heck of the Ben Heck Show. Ben is known for creating all sorts of interesting and unique electrical engineering products, and in this show he set about designing and building a point and shoot digital camera using the Raspberry Pi as a base. Part-way through the project he dove into our box of treats and picked out a Micro SD connector – MEM2061 to be exact – Its push-push mechanism was perfect for the task in hand. The Ben heck Show is sponsored by Element 14, who stock plenty of GCT parts for quick and easy distribution. Customers asked us two questions; 1: Why do your vertical microUSB connectors have short shell stakes, they are not suitable for .062″ printed circuit boards? 2: Why not offer a version suitable for pick and place? GCT responded by expanding its industry leading range of vertical Micro connectors with the launch of two new B type products. An SMT type with cap allows fully automatic pick and place and a thru hole version with extended leads for use with .062″/1.6mm thick printed circuit boards. USB3140- SMT which offers automatic pick and place by the use of an removable plastic cap. Two shell stake length options provide solutions for .039″/1.00mm & .062″/1.6mm thick PCBs. USB3145 – Thru hole with shell stakes suitable for .062″/1.6mm thick PCBs. Both parts offer – 30µ” gold plating allowing 10,000 mating cycles, metal stakes for extra PCB strength. Both parts also have an optional mating entry face, for customers who seek to use their own moulding to guide the USB cable assembly into place. Vertical USB connectors are in stock at your local office for same day sampling. To speed up your design download 2D drawings, 3D models and specifications from www.gct.co. Call today, or visit www.gct.co to see why GCT should be your supplier of choice for vertical USB connectors. Looking for an A/B Micro vertical connector with longer leads? Contact GCT please, this option is currently under review (edit as of 18th Nov 2013 it’s USB3106). Common wisdom has it that customers always seek a lead in on the face of a Micro USB2.0 PCB receptacle. A lead in provides a easier mating connection with the µUSB cable plug, the flange guides the plug into the correct position and the end user does not have to work quite so hard, I know how fiddly it is plugging in my smart phone charger, so I’m sure that having the flange is useful, right? Numerous customers approached GCT because they wanted a Micro USB connector without lead in. Our first thought was a triumph of style over substance in this age of throwaway products. Dig a little deeper and that not quite the story, a high end hi-fi equipment customer wanted to mount flush with a panel, shown in the image above. Their beautiful product design was more important than user functionality, especially for a connector slot that may only be plugged once in a blue moon, their product must look good even from behind! Other customers told us they desiged they own moulding for the connector to sit within, in effect the customers moulding becomes the lead in, so no need for the mating lead in on the connector. After a tooling change on a standard µUSB connector (USB3075) to remove the mating entry lead in, we now offer a Micro USB connector with flush face USB3076, see GCT’s full range of Micro USB connectors. USB3076 is stocked by Newark, Farnell & Element 14. GCT developed a new Micro SIM connector in push-pull style. Micro SIM cards are the same contact arrangement as standard ‘Mini SIM’ cards, however a smaller card size of 15 x 12 mm shows a large saving in SIM card footprint. Available in 6 or 8 contacts with a 2.45mm profile. SIM7050 is suitable for 5,000 SIM card cycles, contact force holds the Micro SIM card in place. Contact your local office for samples from stock, or view and download 2D drawings and 3D models. SIM7050 Micro SIM connector. In stock @ Future & Newark/Farnell/Element 14. SIM7050 Micro SIM connector is now in stock with our global distributors. GCT are excited to offer a new range of USB3 Micro connectors in right angle PCB mount with A/B and B mating configurations, this complements GCT’s existing full size USB3.0 offering. USB3 significantly increases date transmission speeds vs. USB2, allowing transmission of up to 4.8 Gbps, x10 faster than USB2, this step up allows seamless uncompressed transmission of high speed data, such as moving HD images. USB3.0 allows for more power when required, Micro connectors have 10 contacts which allow an all signal option at 1.0A per pin, or a power/signal option with two pins rated at 1.8A and the remainder running at 0.5A, operating temperature is -30° to 85°C. PCB sockets are backward compatible with Micro USB2, USB2 micro cables plug into USB3.0 micro receptacles using the ‘left hand’ cavity, note data transfer at lower USB2.0 rate. GCT offers SMT micro versions in bottom mount (standard) with pure SMT or with thru hole stakes for strength. 30µ” gold plate is standard, allowing 10k mating cycles. A/B types have a reverse Superspeed diff. pair pin assignment which allows On-The-Go option.